Head coach Eric Tinkler believes the 'brilliant' Maritzburg United supporters played a crucial part in the thrilling 2-1 Absa Premiership KZN derby win over AmaZulu on Friday night. The Team of Choice showed massive character to strike twice in dying stages of the game – a 76th minute equaliser by Fortune Makaringe, and a 92nd minute winner by Judas Moseamedi, after Usuthu had scored against the run of play just before half time at a packed Harry Gwala Stadium. United had put in a scintillating performance, but after luck had eluded them, the three points seemed highly unlikely as the game moved towards its conclusion. 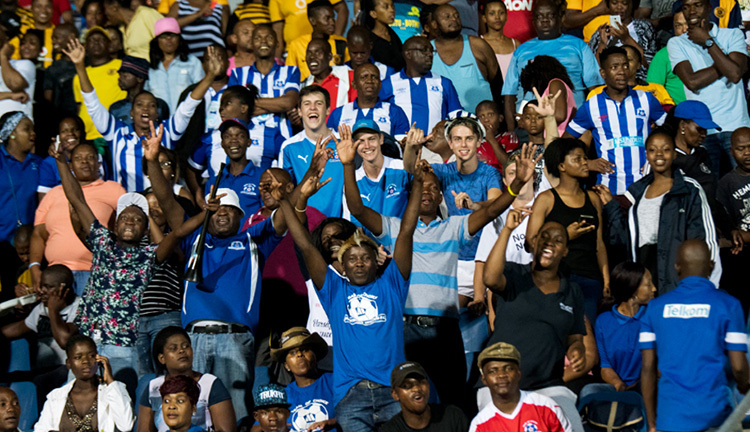 But Makaringe’s goal brought the roof off in the KZN Capital City, and from then on the home fans seemingly willed their team to victory. “There was only really one team out there from my point of view,” he said. “It would have been a massive injustice had we lost the game. I thought the first half performance was exceptional – the chances we created, we should have come in at half time at least 1-0 up. “At half time it was important to tell the players not to panic. To keep believing in the strategy that we planned for the game. Keep the tempo nice and high, because they were not dealing with our tempo. “Our performance in the second half was good, and the only threat AmaZulu really caused us was on the counter, but I don’t think Richard really had to make a save in the second half.